HTFS 2 is rated 4.8 out of 5 by 34. 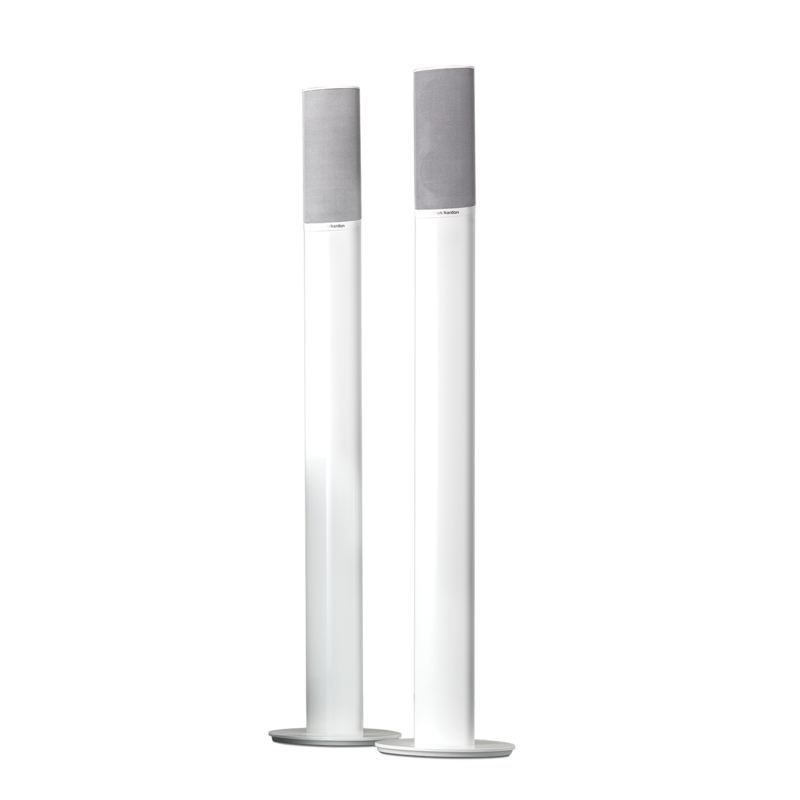 Rated 5 out of 5 by realcyberbob from Great looking and built well I bought a refurbished pair of speaker stands so I assumed there may be something wrong cosmetically with them. The only issue is that both bases have a small dent, not enough to bother me. The speakers mount flush and look liek 1 unit, very good looking. It's a bit top heavy but it won't topple over unless you hit it hard enough. Only issues is that for speaker stands they are very expense but if you care about how your setup looks, I would recommend them. Rated 5 out of 5 by JeanEudeDu54 from Rien à redire La qualité est impeccable pour du reconditionné, on pourrait même dire que c'est neuf vu l'état du produit. Le montage est simple et rapide, et le résultat est conforme aux attentes. Hej. Du skal bruge HTFS 2 standere til dine HKTS 11 h&oslash;jttalere. Du kan finde denne oplysning i din brugsanvisning, p&aring; side 4. Hej Vi kan simpelthen ikke finde ud af om der er intregreret h&oslash;jtalere... b&aring;de denne 2'er og 3&acute;eren... er dette kun standerne? Hej Vivi, Tak for dit sp&oslash;rgsm&aring;l. HTFS 2 eller 3 er gulvstativer for dine HKTS h&oslash;jtalere. Afh&aelig;ngig af hvilken s&aelig;t du har derhjemme, s&aring; skal du s&oslash;rge for at finde den model der passer, se mere nedenunder: HTFS 3 passer til disse h&oslash;jtalere s&aelig;t: HKTS 20, HKTS 30, HKTS 60, HKTS 65 and HKTS 200. HTFS 2 passer til disse h&oslash;jtalere s&aelig;t: HKTS 9, HKTS 16 and HKS 4 h&oslash;jtalere systemer. Kontakt vores kundeservice hvis du har yderligere brug for hj&aelig;lp.